Yesterday Feb. 13th, 2019, I participated as a business mentor for the Westminster Academy (London) participating at the Mosaic Enterprise Challenge of the Prince’s Trust. لقد سعدت بالمشاركة بورشة تأهيل مرشدين لبرنامج تحدى المشاريع Mosaic Enterprise Challenge التابع The Prince’s Trust فى لندن بالأسبوع الماضي. سأشارك كمرشد للبرنامج بنسخته ٢٠١٨-٢٠١٩. لمزيد من التفاصيل حول البرنامج يرجى زيارة الموقع الألكتروني www.mosaicenterprisechallenge.co.uk. I was delighted to participate in the workshop on ‘knowledge platforms for Iraq’s development projects on July 16th, 2018 in London UK. This group ideation workshop aimed at agreeing on platforms and processes that enables attendees to effectively share information on projects and people’s skills while still being part of separate projects, to maximise the benefits to Iraq and reduce overheads. The meeting was organised by the Mushtarek Project, a knowledge collaboration platform based on the premise that the crowd sharing of information, ideas, lessons learned and opinions have the power to change our societies for the better. I was delighted to participate in the workshop on ‘Optimizing your Website for Business Growth’ on July 6th, 18 at the Thames Valley Science Park- Reading UK. The workshop was led by Mr James Pybus from the Digital Marketing – Training, Consultancy and Implementation Services. Big Issue, a Case Study Workshop- May 15th, 18. I was delighted to participate in the workshop on the #BigIssue-a case study in social entrepreneurship, at the #SaidBusinessSchool– University of Oxford. The case was presented by the #LordBird the founder of the Big Issue and #JohnGilligan the Director of Oxford Said Lab and Non- Executive Director of Big Issue Invest. It was an amazing lecture, where key issues related to social enterprising were discussed. The Big Issue is an excellent case study for successful #socialenterprise. 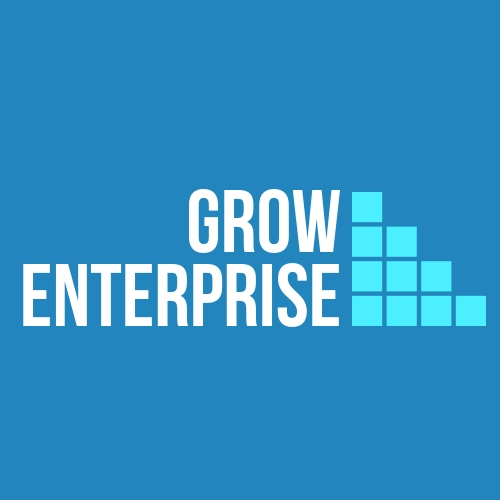 Funding for Growth Workshop- May 11th, 18. I was delighted to attend the Funding for Growth Workshop organized by the TVB Growth Hub at the Thames Valley Science Park- Reading UK. The workshop was led by Richard Holmes- Oxford Innovation. Slough Aspire- May 8th, 18. I was delighted to meet Ms. Fiona Jones, the CEO of the Slough Aspire, and enjoyed discussion on collaboration opportunities. Ms. Fiona has brought up some amazing ideas and great tips for our venture. We will be eager to be more connected and providing lean training services to local community. It was a great opportunity to participate at the IBBC (Iraq British Business Council) on Wednesday April 25th in London. We were pleased to meet some of great businesses from Iraq and UK and to offer our lean training services to young Iraqi entrepreneurs.